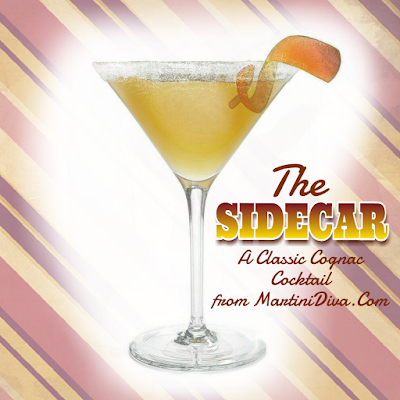 The Sidecar is a classic Cognac cocktail that dates back to World War I. It makes use of one of my sipping favorites, Cognac. DIRECTIONS Rim glass with sugar. Garnish with orange twist or wedge.